When remodeling or building your bathroom, there are various shower wall options to consider, such as tile, fiberglass or Formica. Onyx Collection, Inc. makes a line of products, including shower walls, that are part of its Onyx Collection. Made from a durable, long lasting material, some Onyx shower walls resemble stone and come in a variety of colors. 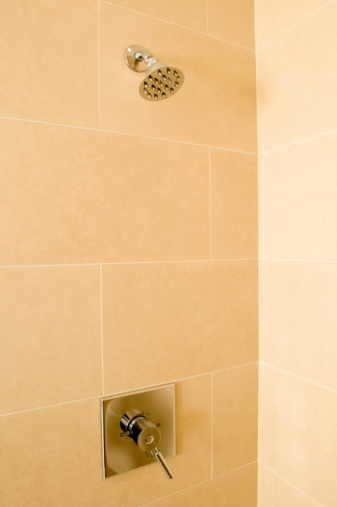 Unlike real stone material, you can safely use vinegar to clean these shower walls. Vinegar is an inexpensive cleaner. The shower wall material manufactured by Onyx Collection, Inc. contains 63 percent hydrate crystal, a substance commonly found in solid surface products, such as Corian. Polyester resin makes up the remaining 37 percent. The company uses marble-type molds to cast their products. White distilled vinegar is a common household product with multiple uses. Cooks use it to tenderize meat, cut saltiness in recipes, reduce the greasy taste in foods by adding it to the deep fryer and punch up a potato salad. It is also a non-toxic cleaner that sanitizes and cuts through hard water stains. There are hundreds of practical uses for white distilled vinegar, including for cleaning, cooking and in the garden, laundry room and garage. Sprayed on the children's sandbox, it discourages cats. Use it to remove odors, kill mildew, clean out the coffee maker and as a cleaner for your Onyx shower walls. Because it is a mild acid, white distilled vinegar effectively removes the soap residue and hard water deposits and kills mildew on Onyx shower walls. Combine equal amounts white distilled vinegar and water in a spray bottle, and use it as a cleaner. Spray the vinegar-water solution on the shower wall and wipe off with a dry rag. If you rinse the area, dry the shower wall with a towel instead of allowing it to air dry to avoid any hard water deposits left behind by the rinse water. 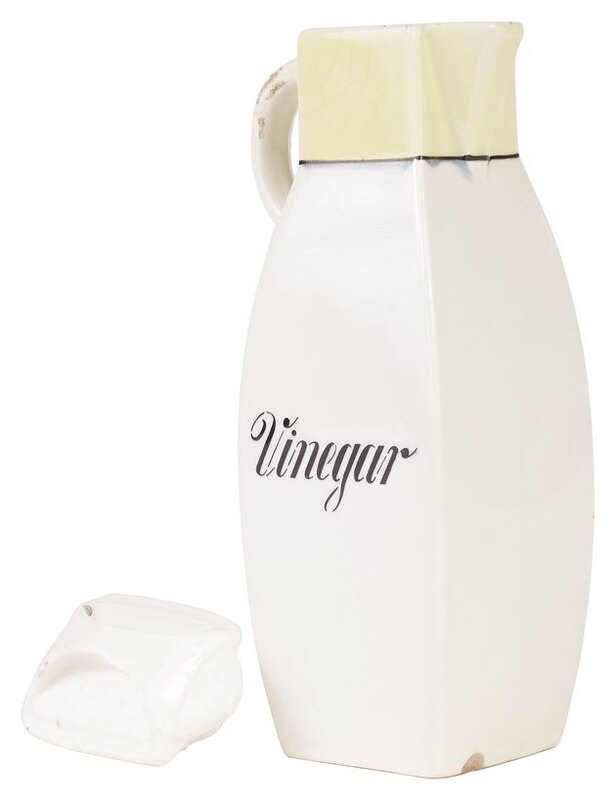 Even though white distilled vinegar is an environmentally friendly and non-toxic cleaning agent that cuts through hard water deposits and kills germs, it is not safe for all surfaces. Do not use it to clean marble or stone. Because it is a mild acid, it can permanently etch those surfaces.